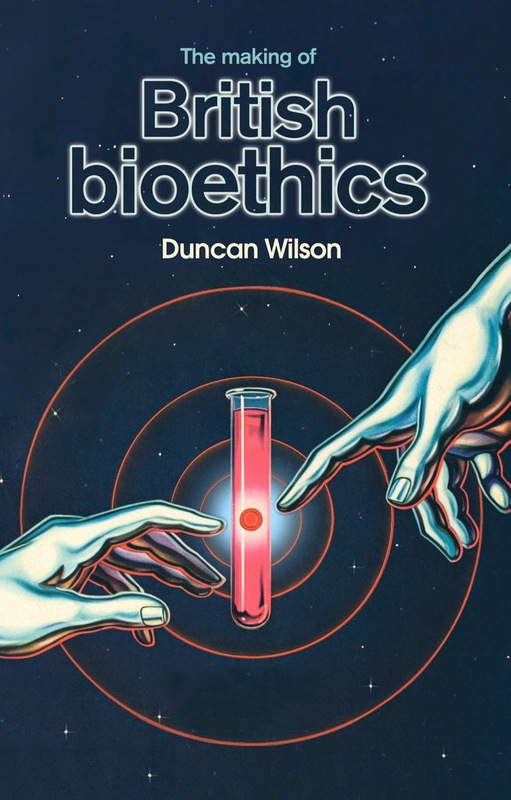 To celebrate open access week our first open access author, Duncan Wilson, has taken part in a Q and A, with Editorial Director, Emma Brennan, about the open access process and his new book The making of British bioethics. EB: What is it about open access that appeals to you both in general, and for your book in particular? DW: I am always keen that my work should reach as many people as possible, including public as well as academic audiences, and I see open access as an important way of achieving this. This is particularly true of my work on the history of bioethics. The emergence of bioethics in recent decades reflects important shifts in the politics of science and medicine, where philosophers, lawyers, social scientists and others now discuss and help regulate issues that used to be left to doctors and scientists, including in vitro fertilisation, embryo research and ‘assisted dying’. The ways in which bioethicists discussed and helped regulate these often controversial procedures influenced public debates and the choices available to patients, so it’s important that we understand how and why bioethicists acquired such authority. Since bioethics continues to have significant public and political impacts, I think my book should be easily accessible to anyone who is interested in the ethics of science and medicine. EB: Do you see any downsides to your book being on open access? DW: Like some colleagues, I was concerned that anyone might be able to copy my work and present it as their own. There are ways to prevent this though, and my book is published under a license that stops anyone copying and not attributing it to me. EB: Are there specific groups of people who you think will be able to read your book on open access who might otherwise not have been able to do so? DW: Definitely. High book prices often put off many of the people I’d like my work to reach the most. It would be great if the book was widely read by undergraduate or postgraduate students in history and bioethics, amongst other fields, who’d borrow a book from the library but wouldn’t normally buy it. Articles I’ve previously published open access have been downloaded by students, and I hope the same happens with the book. I also hope it’s read by members of the public who are interested in bioethics, but wouldn’t normally pay for an academic book on the subject. EB: Would you advise others to go open access with their books too? EB: Has open access or open access publishing changed the way you approach a research project? DW: I wouldn’t say so. I’ve always looked to research issues that interest a wide range of people, both inside and outside of universities. I’ve always tried to write clearly too, in the hope that non-specialists will be interested in my work. That hasn’t changed with the advent of open access publishing, but I do hope it means that my work will reach a much wider audience than it did before.